Includes installation of operating system & drivers. As configured, this PC is not WiFi capable. To add WiFi capability, click 'Customise'. Got a question? Ask our expert technicians! Want to know more about the components? Click on the product names above to view the full product information, or click the "PC Features" tab next to "Gaming Performance" below. Intel's 8th & 9th gen chips bring us up to 4 cores on i3, 6 cores on i5, & 8 cores on i7 for the first time - also brand new to the consumer grade is Intel's i9 with a massive 8 cores and 16 threads! The Coffee Lake architecture is power-efficient, 4K ready, USB 3.1 Gen2 enabled, and built to last. Whether it's gaming, workstation use, servers, or simply bragging-rights, Intel's Coffee Lake series is certainly going to get the job done in style. Pascal-powered graphics cards give you superior performance and power efficiency, built using ultra-fast FinFET and supporting DirectX™ 12 features to deliver the fastest, smoothest, most power-efficient gaming experiences. The flagship Pascal GPU, also features high-bandwidth GDDR5X technologies for incredible gaming experiences. Discover next-generation VR performance, the lowest latency, and plug-and-play compatibility with leading headsets—driven by NVIDIA VRWorks™ technologies. VR audio, physics, and haptics let you hear and feel every moment. Take advantage of ShadowPlay and record/stream your gaming sessions with very little impact on gaming performance - unique to Nvidia graphics cards! With numerous capacity and design options, the DDR4 range is a must have for the newest generation of Custom PCs. The perfect match for your brand new build, our DDR4 range is sourced from only the highest quality manufacturers and backed by rock-solid first-class warranty. The power supply is the heart of your computer and its quality should never be compromised. 80 PLUS is a certification program promoting high-quality and efficiency for computer power supply units. There are currently multiple tiers of efficiency ratings, but when you buy an 80 PLUS certified power supply, you can be confident that it's built to last, using high quality components. Evatech uses only the highest quality power supplies in its custom PCs; from world-class, trusted brands. When spending hundreds or thousands of dollars on a new purchase, it's natural to feel weary of who you're buying from. That's why here at Evatech, we stand by the quality of our product and services with the following guarantees. • All products are brand-new, Australian-sourced, backed by full manufacturer's warranty. No refurbished units or generic brands. 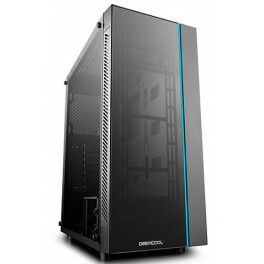 • Your PC is assembled to order right here in Melbourne by trained expert professionals. • Every single custom PC is extensively tested before being dispatched, in order to catch any potential faults before it leaves our care. • All shipments are extremely well packaged to minimise any chances of damage during transit. • Value for money, no up-selling, no bargaining required. We offer the best possible prices at all times. Australia wide shipping for any order containing a custom PC from just $19.95. Purchase your PC with monitors, keyboard, mouse, speakers, headset, or chair - and you'll pay the same shipping rate. Can I add a hard drive or other component once receiving the PC without affecting warranty? Yes, but only the original components of the system will be covered by warranty. Do you overclock CPU / Memory / Video Cards etc? Pre-overclocked memory and video card options are available. We advise against additional overclocking with most modern hardware as it can effect system stability, delivers minimal performance gains, and requires costly additional cooling; money that could have been put towards higher performing components. *Requirements are based on information provided by publishers and is aimed as a guide for gaming on a single 1080p monitor and do not constitute a guarantee of any kind. If two or more people buy your custom PC configuration from a link you shared, we will send you a little something to say thank you. For details on how our 'Thank you for Sharing' program works see here. Please note that all system builds require either full payment or a 50% deposit before we begin building - please contact us with any queries. We endeavor to respond to all emails within 30 minutes during business hours.